Apparently someone at school (Margie) has been complaining that I am delegating all of my PTO work. Of course I am. That stuff is boring. I was called by the school secretary yesterday and told to come to a meeting this morning with the PTO board and the school administrators. I know that the most important thing about these meetings is to look put together, so I bought myself a darling suit. Business lady ready to take care of business. Margie was looking surprisingly smug when I got there. The principal asked if the charges were true and of course I said yes, that I am very good at delegating. Then I asked if there was any problem with the quality or the timing of the work. Apparently the only problem they had was with some of the fundraising stuff I had asked Margie to do, so I told her to drop it and I would ask that cute new family in the kindergarten to take care of it instead. Problem solved. I wasn’t even late for Cross Fit. 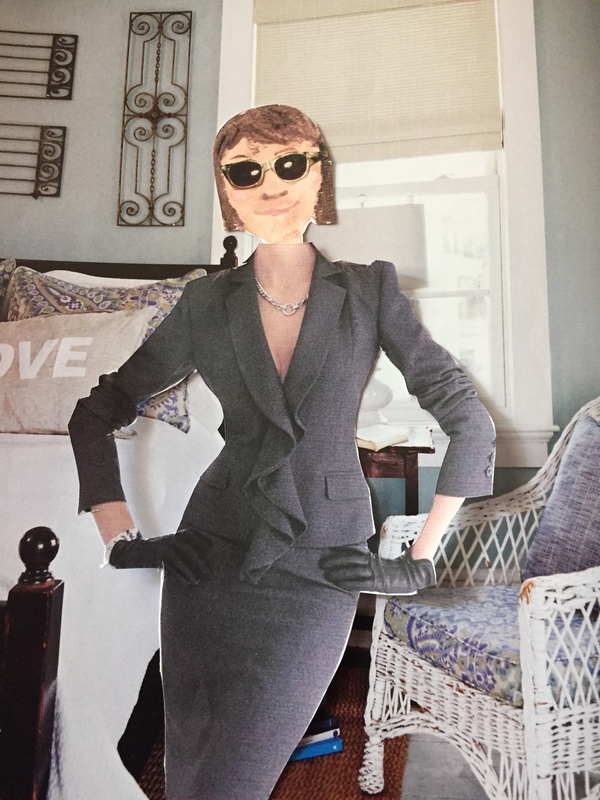 This entry was posted in School and tagged cute new suit, delegating, Margie, PTO, Vice President on November 3, 2015 by mythreeangles. Margie must have been so embarrassed when you showed her up in front of the principal. I bet she was dressed in sweats too! Baggy jeans, a t-shirt with a picture of Minnie Mouse on it and a pair of white tennis shoes. LOL! BAM! And that’s how you do it! You should write a career book. I’m sure there are plenty of women who could use your wisdom. Thanks, Cindy. I think I made a mark today.